Sorry for the lack of posts the past few days. You'd think I'd post some corny holiday video or something for the Essince Throwbacks but FORREAL Forreal I haven't really been inspired lately. I get hella music in my inbox as well as other things but...eh...nothing really spoke to me...art...music...fashion...I'm sure it's out there but I wasn't seeing anything and was focused on booking a few tours for 2014 (details coming soon). 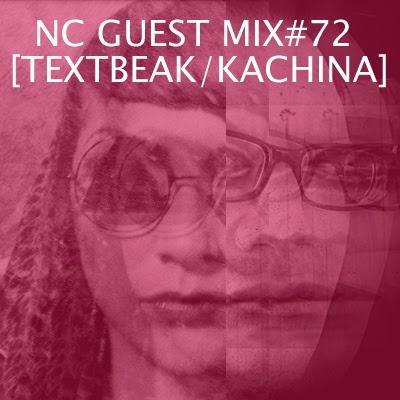 BUUUTTTT I recently reconnected with Dj Kachina after her pilgrimmage to the Madre-land [Puerto Rico] and she sent me this mix she just did with Textbeak (met him once...nice dude). Anyway, mix is dope. I needed something different and Kachina was always able to expand my taste. (It gets hip-hoppy around an hour in if you're afraid of change but I recommend listening to the whole thing).